The richest people on Earth got richer in 2014, adding $92bn to their collective fortune in the face of falling energy prices and geopolitical turmoil incited by Russian President Vladimir Putin. The net worth of the world’s 400 wealthiest billionaires on December 29 stood at $4.1trn, according to the Bloomberg Billionaires Index, a daily ranking of the world’s richest. The biggest gainer was Jack Ma, the co-founder of Alibaba, China’s largest e-commerce company. Ma, a former English teacher who started the Hangzhou-based company in his apartment in 1999, added $25.1bn to his fortune, riding a 56% surge in the company’s shares since its September initial public offering. Ma, 50, with a $28.7bn fortune, briefly passed Li Ka-shing as Asia’s richest person. “I am nothing but happy when young people from China do well,” Li, 86, said through his spokeswoman in Hong Kong. Global stocks rose in 2014, with the MSCI World Index advancing 4.3% during the year to close at 1 731.71 on December 29. The Standard and Poor’s 500 Index rose 13% to close at 2 090.57. The Stoxx Europe 600 gained 4.9% to close at 344.27. Two of the year’s other biggest gainers were Warren Buffett and Mark Zuckerberg of the US Buffett, the chairman of Berkshire Hathaway, added $13.7bn to his net worth after the Omaha, Nebraska-based company soared 28% as the dozens of operating businesses the 84-year-old chairman bought over the past five decades churned out record profit. Buffett passed Mexican telecommunications billionaire Carlos Slim on December 5 to become the world’s second-richest person. Bill Gates, the co-founder of Microsoft, was up $9.1bn during the year. The 59-year-old remains the world’s richest person with a $87.6bn fortune. Zuckerberg, the hoodie-wearing chief executive officer of the world’s largest social-networking company, gained $10.6bn as the Menlo Park, California-based business rose to a record on December 22. This year Facebook made headway in mobile, a business that has flourished as mobile advertising increased and marketing initiatives expanded with applications and video. Facebook’s acquisition of Instagram in 2012 for $1bn has also been paying off: A Citigroup analyst said on December 19 the photo-haring app is worth $35bn. Zuckerberg’s company faced a challenge in Russia, where the blocking of a Facebook page promoting a Russian opposition rally highlighted the challenges the social network faces as Putin cracks down on the Internet amid a looming economic downturn. The European Union and US limited Russian companies’ access to financing to punish Putin after he annexed Crimea in March. Russia’s troubles have been worsened by the corresponding plunge in the price of oil, a bedrock of the country’s economy. Nobody was hit harder than Vladimir Evtushenkov. Once Russia’s 14th-richest person, the 66-year-old lost 80% of his wealth, dropping him from the Bloomberg ranking. He was sentenced to house arrest by a Moscow court in September after a money-laundering investigation connected to the $2.5bn purchase of shares in oil producer OAO Bashneft. The court also ruled in favor of nationalizing his stake in Bashneft, which he controlled through publicly traded AFK Sistema. Evtushenkov’s fortune has fallen $8.1bn, the most of any Russian in 2014. Leonid Mikhelson has been the biggest loser in dollar terms among those remaining in the country’s 20 richest, dropping $7.8bn since the start of the year. The 59-year-old is the chief executive officer of OAO Novatek, Russia’s second-largest natural gas producer, which fell 44% during the year. He has a $10.1bn fortune, according to the Bloomberg ranking. Viktor Vekselberg surpassed Alisher Usmanov as Russia’s richest person after Usmanov’s MegaFon OAO lost almost half its value since June. Vekselberg is worth $14.1bn, while Usmanov fell 32% to $13.8bn. One of only a few Russians among the world’s 400 richest who gained in 2014 was aluminum billionaire Oleg Deripaska, who added $1.6bn as his Hong Kong-based Unite Rusal rose 122%. Deripaska has increased his fortune to $8.2bn. He’s the world’s 154th-richest person. Belkovsky says Putin will try to compensate the country’s sanctioned businessmen by giving them access to different state resources. “The competition for resources will increase, as will the redistribution of ownership,” he said. Russian billionaires weren’t the only ones to suffer losses. Sheldon Adelson, the gambling mogul who controls Las Vegas Sands, the world’s largest casino company, fell $8.7bn as the Las Vegas-based company dropped 25%. Macau’s casinos are looking at their first down year in revenue since the market was opened to foreign operators in 2002, after China’s President Xi Jinping cracked down on corruption on the mainland and high-rollers shunned the gambling enclave. More than half of the company’s 2013 $13.8bn in revenue comes from Macau. Adelson’s decline was followed by Jeffrey Bezos, the chairman of Amazon.com. The 50-year-old had $7.2bn trimmed from his fortune as the Seattle-based company lost ground in the cloud computing market to crosstown competitor Microsoft. Bezos, whose Blue Origin LLC space company won a contract in November to deploy rockets from Nasa launchpads in Florida, is ranked 21st in the world with a $28.7bn fortune. Blue Origin will develop a space vehicle that isn’t scheduled to be ready until after 2020. Elon Musk’s space-exploration company is close to winning the certification it needs to begin deploying satellites for the US military, according to an Air Force official. A contract win by Hawthorne, California-based SpaceX would be the first since the Pentagon opened the programme in late 2012 to as many as 14 competitive missions. Musk added $2.9bn to his net worth, most of which was the result of a 50% gain by Tesla Motors, the world’s largest electric-car manufacturer. China’s 10 richest people have added almost $48bn combined year-to-date. Following Ma’s $25.1bn gain, technology entrepreneurs Richard Liu of online retailer JD.com and Robin Li of Baidu added a combined $8bn. The title of Asia’s richest person could be challenged by Wang Jianlin, whose Dalian Wanda Group staged an initial public offering of its commercial properties division this month. An IPO for Wanda Cinema Line is planned for early 2015. Wang has a net worth of $25.3bn, gaining $12.8bn during the year. Alibaba’s surge minted at least three new billionaires this year, including Simon Xie, an Alibaba co-founder and the second- biggest shareholder of the finance affiliate that owns Alipay. Xie, 44, owns 9.7% of Zhejiang Ant Small & Micro Financial Services Group, the parent of Alipay, according to company filings obtained by Bloomberg News. Small & Micro CEO Lucy Peng and Jonathan Lu, CEO of Alibaba, each controls almost 4 percent in Small & Micro Financial, according to filings submitted by the company in Hangzhou. They also both own less than 1 percent of Alibaba, which made them new 2014 billionaires. Bloomberg News uncovered 86 new or hidden billionaires who had never appeared on an international wealth ranking. Among them were the six heirs to a $13bn Monaco fortune that were unveiled after the family’s matriarch, Helene Pastor, was gunned down in a parking lot in Nice, France, in May. The fortune spans two branches of the Pastor family, which built much of Monaco’s skyline and owns thousands of apartments in the city-state. Carlos Pellas became Nicaragua’s first billionaire rebuilding his family sugar mill and parlaying the proceeds into a new bank, BAC-Credomatic, which, by 2005, was one of the largest financial institutions in Central America. He sold it to General Electric in a deal completed between 2005 and 2010 for about $1.7bn. His rise to riches was almost interrupted by a violent 1989 plane crash that killed more than 130 people and left his wife with 62 bone fractures and skin melting off her face. Other Latin America fortunes that emerged include five billionaires from Brazil — Joesley, Wesley, Valere, Vanessa and Vivianne Batista — who created the world’s biggest beef producer after making more than $17bn in acquisitions. Their company, JBS SA, rode the biggest stock rally on Brazil’s Bovespa index this year, jumping 30% year-to-date, fueled by surging beef prices and Russia’s lifting of a ban on Brazil meat-processing plants. A surge in real estate and corporate valuations elevated the fortunes of at least five Blackstone Group LP billionaires. Co-founder and chairman Stephen Schwarzman added $926m as the company rose 7.6%. The performance, along with surging art values, made James Tomilson Hill, Blackstone’s vice chairman who runs the company’s $64 billion hedge fund business, a billionaire. Jonathan Gray, who runs the firm’s real estate division, is worth $1.5bn. Real estate is seen as one way the wealthy could make further gains in 2015. “The fact that interest rates are going to remain low, there might be some opportunities, especially with residential real estate in Europe,” Efrat Peled, the chairman of Arison Investments, said in a phone interview from her office in Tel Aviv. Peled, who manages more than $2.5bn in assets for Shari Arison, says a strong US dollar should give some foreign markets a boost. “Exports are better when the dollar is strong,” she said. Whether interest rates stay low remains a looming question moving into 2015. Federal Reserve Chair Janet Yellen appears poised to raise interest rates for the first time in almost a decade, and prognosticators are convinced Treasury yields have nowhere to go except up. Their calls for higher yields next year are the most aggressive since 2009, when US debt securities suffered record losses, according to data compiled by Bloomberg. “Assuming oil prices stay low for a while, it’s really a global stimulus package,” John Benevides, president of Chicago- based wealth adviser CTC myCFO LLC, said by phone. 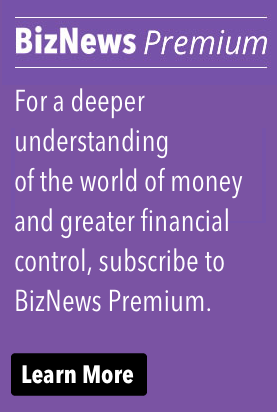 * For more in-depth business news, visit biznews.com or simply sign up for the daily newsletter.